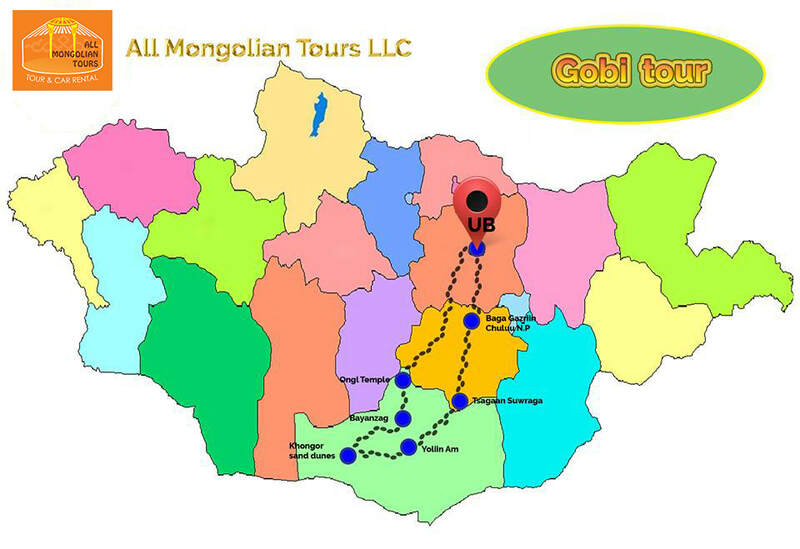 Today we will leave UB city in the morning after having breakfast at hotel for Baga Gazryn Chuluu Rocks in the Middle Gobi province for 260km. Then we will be settled down in touristger camp beside the rocks. We will have lunch at 1pm. This is granite rock formation in the middle of plain steppe where you will go climbing rocks and visit Bolor cave. It will take 2 hours. Have dinner and have a rest in Mongolian ger. During the tour we have breakfast at 8am and leaves at 9am. We drive then stop at camp and have lunch at 1pm. Afternoon; we mostly visit our attraction places then come back to the camp before dinner. In the morning after your breakfast, we will drive to stunning Tsagaan Suwarga which means White Stupa in English. It is 30m high limestone formations located 20km from Ulaan Tsav. First you should go around White Stupa. Then you climb down to see stupa from beside. It is more beautiful shaped stupa you can see. It will take 2 hours here. After walking around White Stupa, you can go to ger camp owner’s camels in the yard, where you can see baby camels. Then you will go to ger camp have lunch. 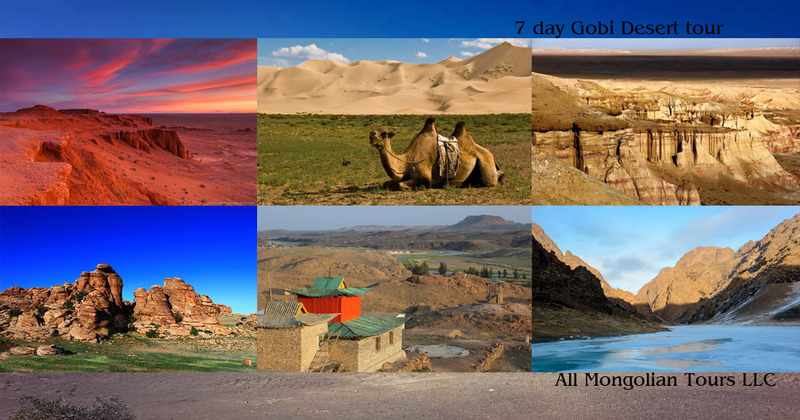 Afternoon will be your free time to enjoy the Gobi. 255km from the White Stupa, Vulture’s Valley was originally established to conserve the birdlife in the region. It is now famous for its rocky cliffs and narrow, heavy shaded canyons that allow sheets of vlue-veined ice to survive well in the summer. You will be surprised to see gorges in the Gobi Desert because its surrounding nature seems just like grasslands. It will take 4 hours of hiking until come back to car. We will be at our ger camp by dinner and then you can go shower or relax. In the morning after our breakfast, we will drive to Khongor Sand Dunes which is 148km from Yol Valley. Road is little bumpy so you need to be prepared for bumpy roads. Khongoriin Els Sand Dunes are parts of the largest and most spectacular sand dunes in Mongolia. Highest sand dunes are called Duut Mankhan which means singing dunes because it makes noise like flying airplane. Sand dunes are 300m high, 12km wide and 100km long. Before the lunch time we will settled down in tourist ger camp and then have lunch there. In the afternoon, we will ride camels for an hour and then drive to Sand dunes and climb to the top of dunes. 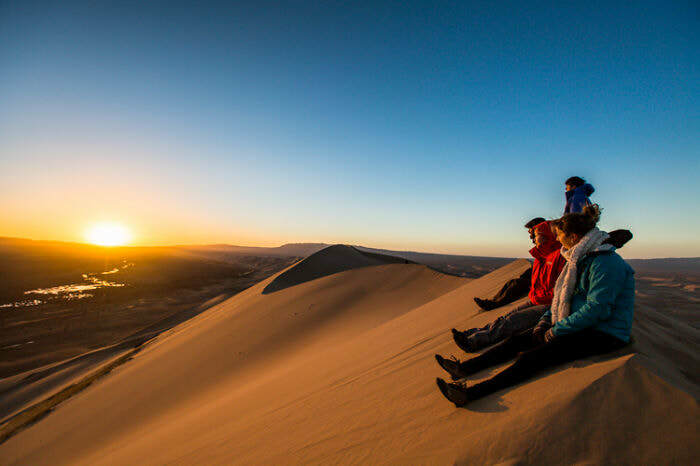 You will have fun by sand sleighing on the dunes and have beautiful photos taken by guide. We will come back to the camp and have dinner then go shower. Today we will drive to Bayanzag Flaming Cliffs for 108km among Mongolian south gobi. You will see lots of camels on the way and gobi trees. Before going to the cliffs, you will settle down in ger camp and have lunch there. Afternoon, you will go to flaming cliffs. It is renowned worldwide for the number of dinosaur bones and eggs found in the area. It's a classic desert, red sands, scrub, sun and awesome emptiness. You will spend 2 hours for hiking in the area. If you come here during the sunset, cliffs look beautiful red colored and decorate your photos. 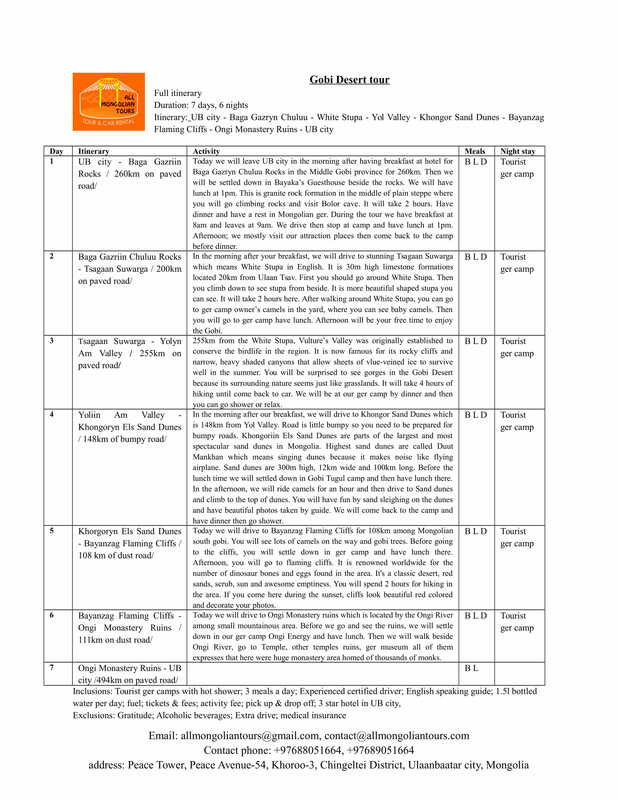 Today we will drive to Ongi Monastery ruins which is located by the Ongi River among small mountainous area. Before we go and see the ruins, we will settle down in our ger camp Ongi Energy and have lunch. Then we will walk beside Ongi River, go to Temple, other temples ruins, ger museum all of them expresses that here were huge monastery area homed of thousands of monks.